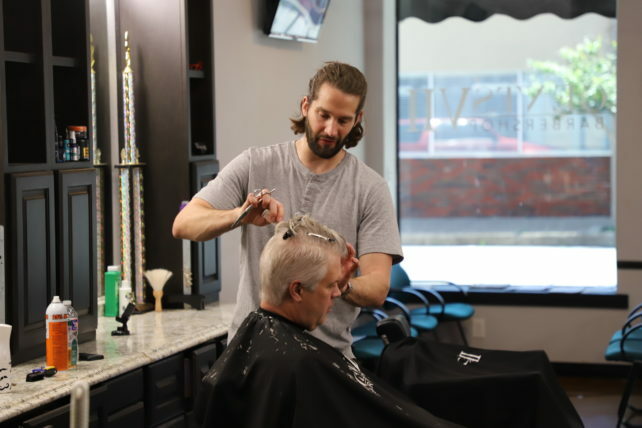 Ethan was a jack of all trades, before he took the plunge to learn the trade of barbering. He had a wide range of jobs including an oil field worker, substitute teacher and a bank teller, just to name a few. Since he graduated with his degree, he spent four years trying to find a purposeful job and he wasn’t having much luck at all. He felt frustrated as he wasn’t getting anywhere closer to achieving any fulfilment. He decided to take action to get out of the ‘stuck’ feeling he was experiencing in most of his jobs that he had tried to make work. Becoming a barber resonating well with him without much doubt because of his love he has always had for hair and fashion growing up. He decided to do his barber training at London School of Barbering, as he knew the standard of training was so high. 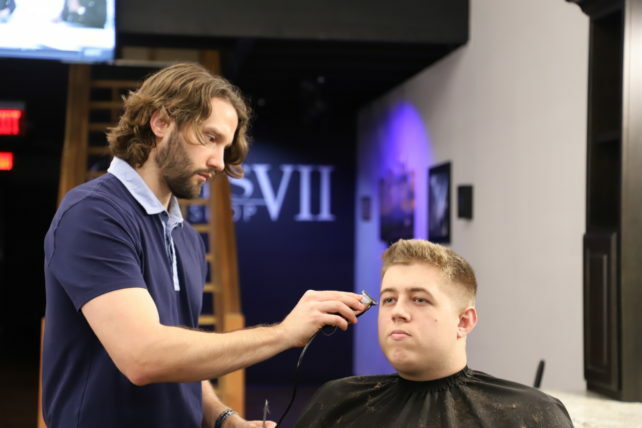 He knew he would be setting himself apart from many barber students who hadn’t gone to London School of Barbering and that it would be a great start in launching him into the industry. He signed up for our NVQ 2 Diploma beginner course, where he built his strong foundations in barbering over nine weeks. Ethan is foolproof that you can get out of being unhappy and unmotivated at work and into a job that you genuinely enjoy. 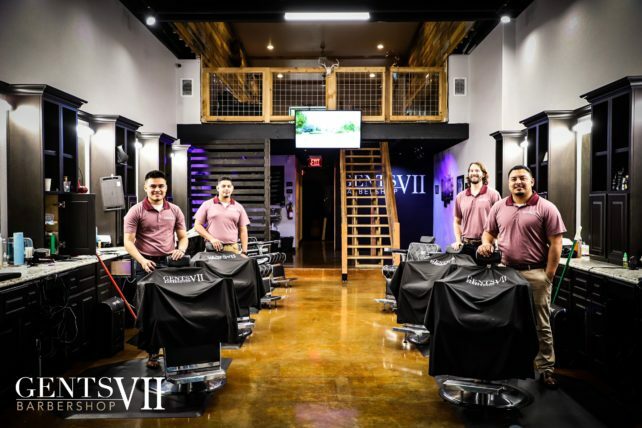 Since graduating with us, he has had the opportunity to do guest barber spots across the U.S and works as a professional barber full time at Gents VII Barbershop in Sherman, Texas. He loves so many elements of his job as a barber and reminds us that there are so many benefits of being a barber. 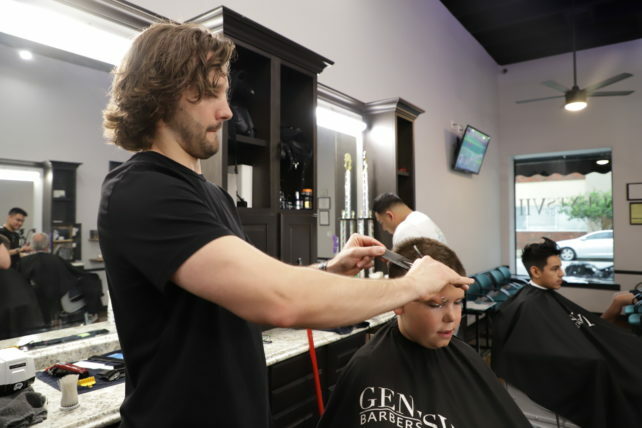 Ethan particularly loves the friendship aspect of barbering and the connection he gets to have with his clients. 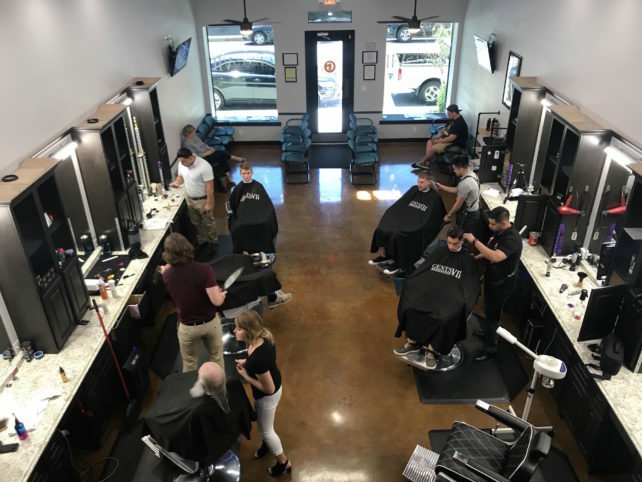 EM: I had many jobs before I took the route into barbering, from retail to an oil field worker, from a substitute teacher to a teller at a bank, the list goes on….. I didn’t have a set career. EM: After I went to university, I got a degree and was in the workforce for four years and still was nowhere closer to achieving any type of personal goals or fulfilment. LSB: How did you feel about making the transition into barbering and why did you choose LSB to learn the trade? EM: I almost felt stuck with all the jobs that I had been doing and was searching for a career that I would enjoy, but also feel more productive at. I was so eager to make the transition into barbering, since I grew up with a love for hair and fashion. Once I chose London School of Barbering, I couldn’t wait to get across the pond to the U.K from the U.S to start my barbering journey. I chose LSB because the standard of training is so high. I knew I would be setting myself apart from many barber students who hadn’t gone to LSB. EM: I took the NVQ 2 Diploma beginner course, which was a 9 week intensive course. Aside from learning how to cut hair and shave, which was a big achievement, I also made great friendships. I still keep in touch with most of my classmates! EM: Since finishing at LSB, I’ve been very lucky to be able to guest barber in many shops across the United States. 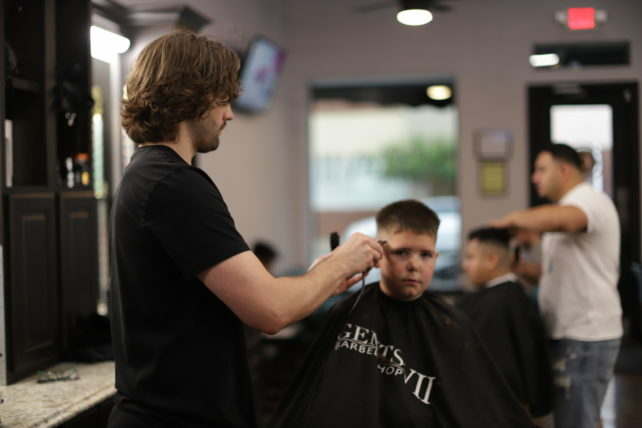 I’m currently working at Gents VII Barbershop in Sherman, Texas and love it! EM: It is hard to pin down just one thing. However, being able to develop great friendships with people I never would’ve met if I hadn’t gone into barbering is a big proud moment for me. EM: I’ve had a lot of amazing people in my chair before and I’m very thankful for that, so I don’t think I have ever thought about who else I would like in my barber chair. With any of my close barber friends, it’s always nice making those connection stronger, but I also take pride in making sure my friends are always fresh too. EM: I’ve found that being a barber is pretty much like being a bartender. Everyone has a story to tell and you would be surprised at what type of stories people do have to tell. EM: Culture and music are currently my biggest inspirations. I like to look outside of my norm and see that there are truly limitless possibilities. I find it really helpful in creating different types of haircuts by looking at these creative outlets. EM: It’s well worth the time and effort investing in a barbering career. It definitely isn’t easy, but if you want to succeed, London School of Barbering is one of the biggest and best foundations that you can start your barbering journey on and kickstart your career. EM: Have fun with the course and don’t take yourself too seriously. You’ll have a great experience on the course, so embrace it all!